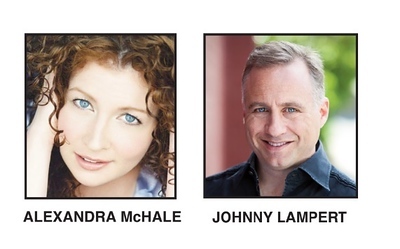 BRISTOL - Johnny Lampert will headline a comedy show to benefit Quota International of Bristol March 2 at the Bristol Polish American Club with opening act Alexandra McHale. The doors will open at 7 p.m. at the club at 541 N. Main St. and the show will start at 8 p.m. A cash bar will be available and the club’s kitchen will also be open. The club allows guests to bring food and snacks. Proceeds from the show will assist the nonprofit Quota International of Bristol’s efforts to help disadvantaged women and children, assist local nonprofits, provide scholarships, host blood drives and more in the local community. Karrine Vanasse, president of Quota International of Bristol, said that the club is aiming to reach out to additional nonprofits in the community, and this fundraiser will help them to do so. Quota International of Bristol will be running a 50/50 raffle during the night of the show. Lampert is a regular at comedy clubs in New York City and Los Angeles including Carolines on Broadway, The Comic Strip and The Improv. He has appeared at casinos including The Mirage, Foxwoods, Caesar’s Palace and The Claridge and he has worked with stars including Dana Carvey, Michael Bolton, Chicago and Chris Rock. Lampert has also appeared on MTV, A&E, NBC, HBO Comedy Showcase, numerous shows on Comedy Central and recently on AXS TV’s Gotham Comedy Live. McHale made her network debut on The Tonight Show with Jay Leno. She has also been on CBS’s The Late Late Show with Craig Kilborn, Comedy Central’s Premium Blend and New Joke City with Robert Klein on the Metro Channel. McHale has appeared on network television and headlined at more than 300 colleges. In 2002 and 2003, she was voted Female Entertainer of the Year by the readers of Campus Activities Magazine. She was also nominated in 2005 for Female Entertainer of the year and was nominated as Performer of the Year by the Association for the Promotion of Campus Activities. Tickets to the comedy show are $30 per person. To purchase tickets, email , visit Sawe’s Automotive Services at 9 East St., or visit facebook.com/quota.bristol and send the club a message. Posted in The Bristol Press, Bristol, General News, Plainville, Southington Herald on Thursday, 31 January 2019 18:30. Updated: Thursday, 31 January 2019 18:33.